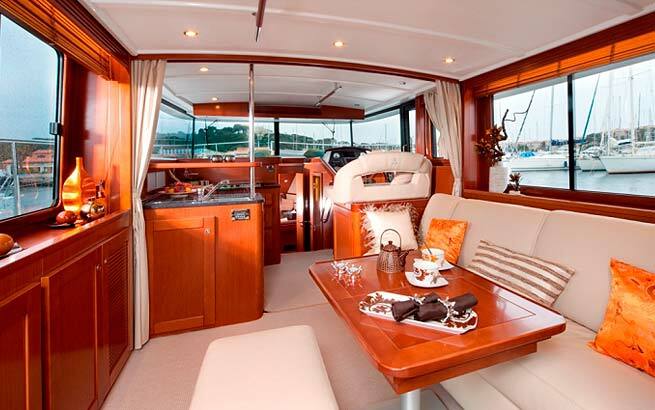 Take command of the latest model of the Swift Trawler fleet and let the fragrance of far off shores give you a taste of adventure. 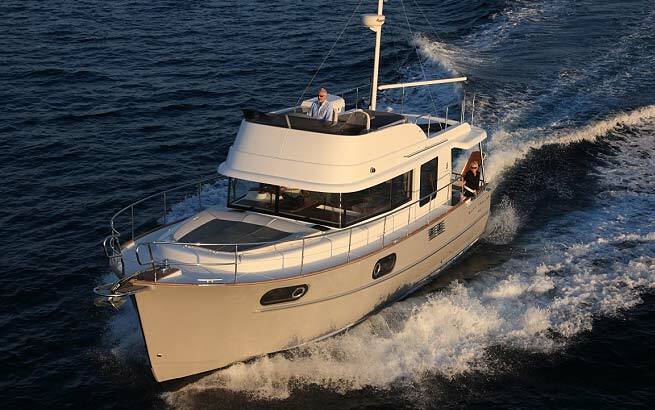 Built for long distance sailing, the Swift Trawler 44 is a boat with endless possibilities. It is at home on all waters and promises to make each destination an extraordinarily colourful stopover. 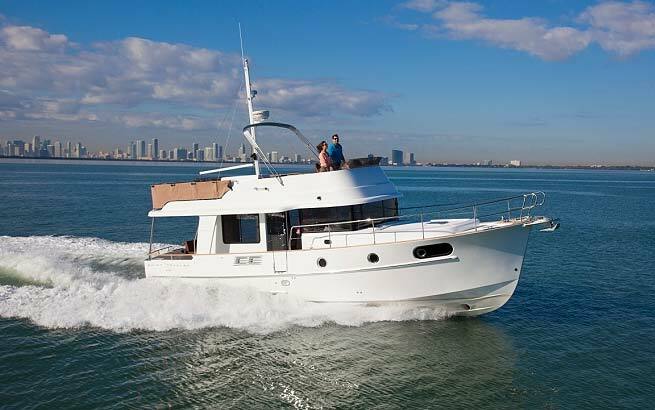 The Swift Trawler 44 offers the best navigational and on board living conditions : as a couple, with the family or friends, its new dimensions and clever layout ensure many unforgettable voyages lie ahead. 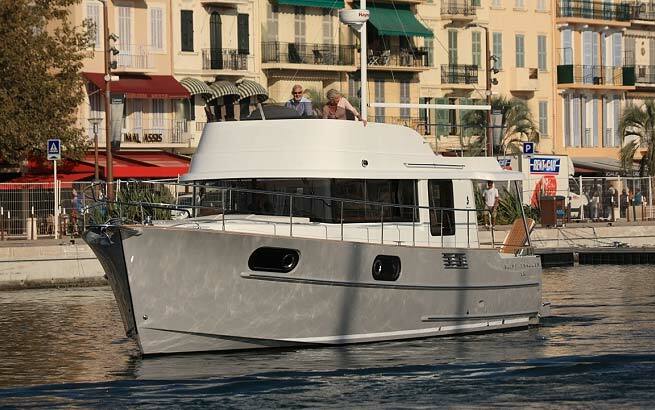 2012 :Winner in the "Trawler Yacht and aft Cabins" category. 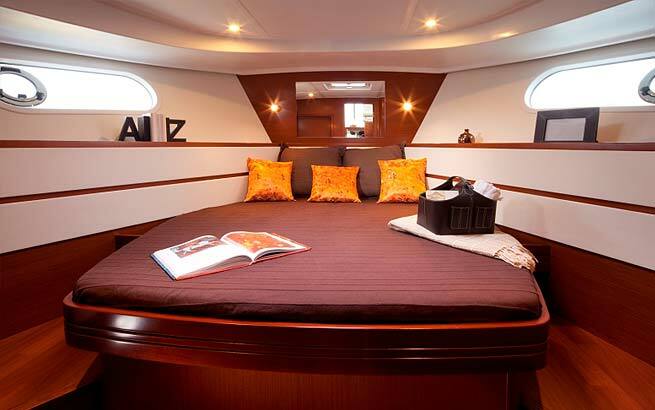 Designed for life on board, the Swift Trawler 44 reveals wide and ingeniously created interior spaces. 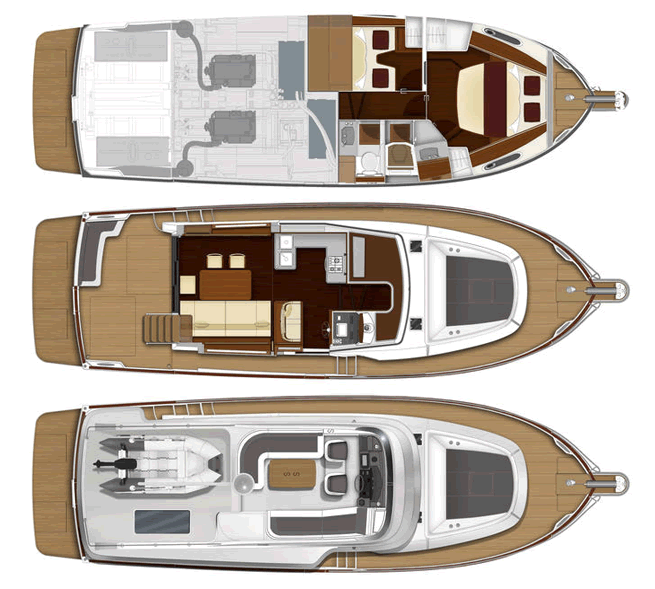 The new asymmetrical deck is 40cm wider than the Swift Trawler 42 deck, resulting in a very spacious front cabin. The wheelhouse area has been completely rearranged and extended by 1 metre thanks to the modified front windows angle. 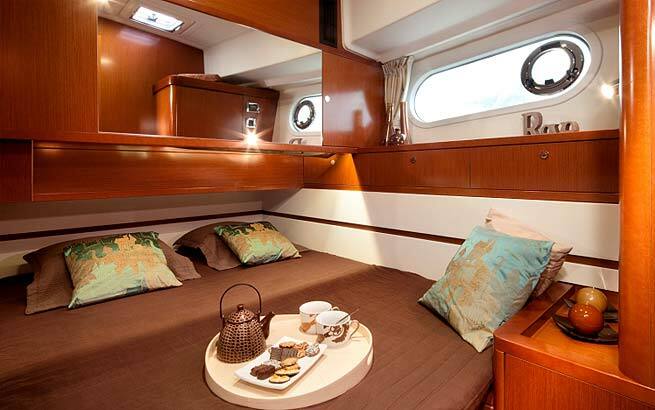 saloon is equipped with a double sofa-bed and transforms into a double cabin once the privacy curtain is drawn. The U shaped kitchen provides a lot of storage space. 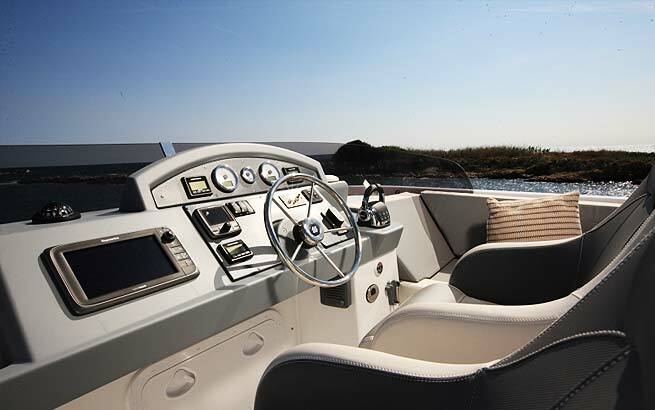 And finally, a modernised, newly designed helm with anti-glare surface ensures optimal navigation conditions. 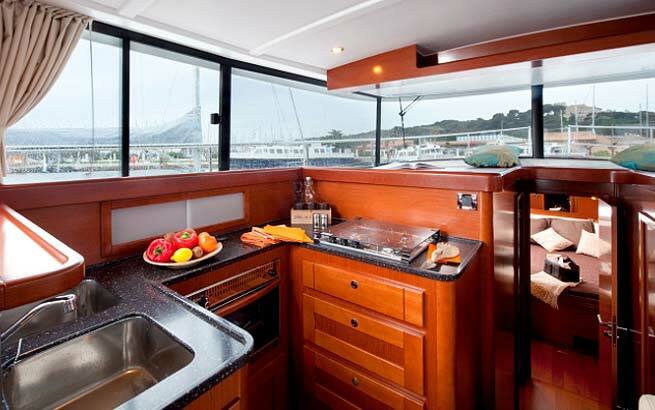 Unobstructed views and maximum brightness : the addition of wide fixed portholes in the hull gives a sense of harmony whilst other large round portholes can be opened for ventilation. 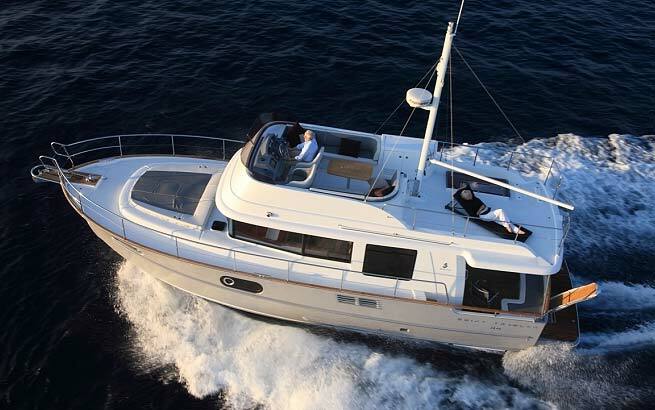 Outside, the swim-platform has been extended and fitted with the same ergonomic steps as the Swift Trawler 52. 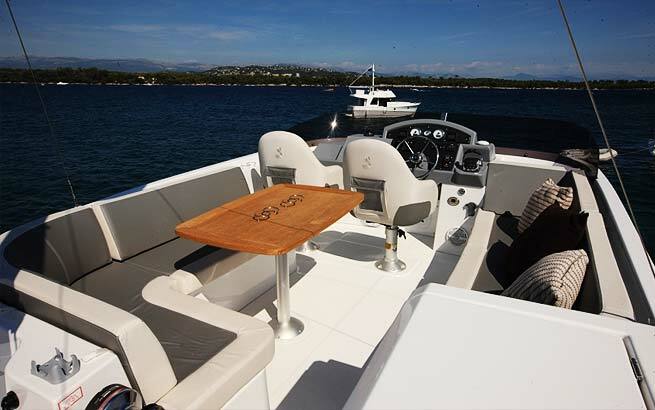 The longer Flybridge (with an extra 1m) becomes a comfortable place for sailing side by side: the control station is fitted with two adjustable seats and a large instrument panel.